Thankfully, this is the thought process of the Cook County Sheriff’s Office who recently started a nationwide effort to identify eight of Gacy’s victims. Sheriff Tom Dart reopened the investigation of Gacy’s victims, asking for DNA samples from families of the young boys who had gone missing. 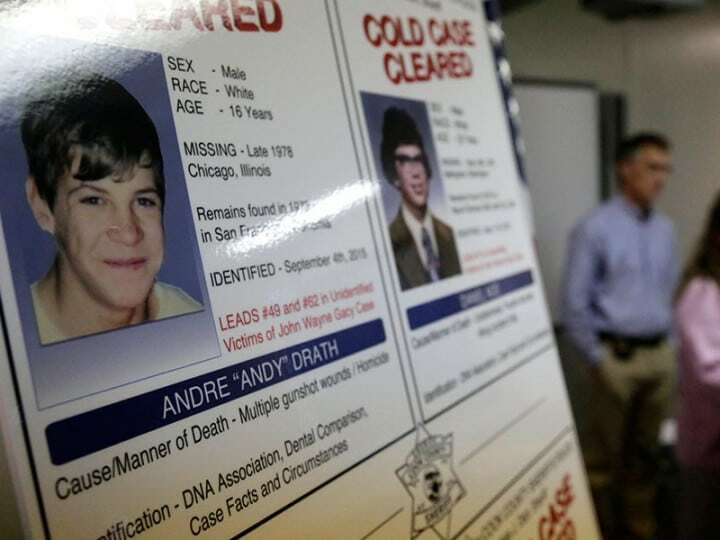 The half-sister of Andy Drath, a 16-year-old boy who vanished from Chicago in either late 1978 or early 1979, answered Dart’s call. While her genetic material didn’t match any of Gacy’s eight unknown victims, the sample she provided was entered into the federal DNA database. Not long after, a match turned up from a body that was discovered in 1979, riddled with bullets in San Francisco. The search for the eight unidentified victims continues, but in the meantime Andy Drath will finally get the proper burial he has deserved for 36 years. John Wayne Gacy, also known as the Killer Clown, was an infamous American horror. He is known to have murdered and raped at least 33 young men. He was executed on May 9, 1994.